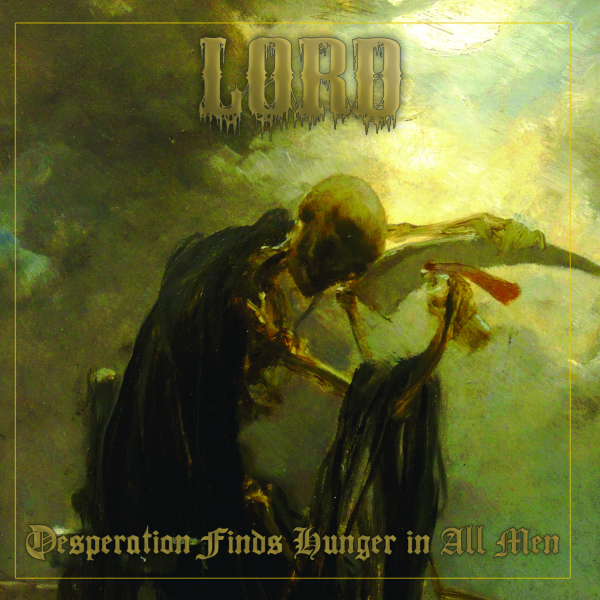 Ahead of their upcoming album, Desperation Finds Hunger In All Men, previous Band of the Day, LORD, are streaming their latest track “Nature Knows No Kings” exclusively here. Read on to find out more about it from the band themselves. “Nature Knows No Kings” started out in my mind as a short bridge between songs, just a minute or so of a polyrhythm drum pattern I was working on. I made a couple demos, each longer than the last, to gauge the other guys’ interest. Getting Steve involved with his auxiliary drums was a no-brainer because there’s so much dual percussion on the album, but when Todd jammed the song with us, the song really came into its own. Todd and I tracked the base of the song live, which really added to the depth and energy of the song. Three members (Petrocelly, Wuehrmann, Kerchner) of LORD worked on this track together. To me, it is by far the most terrifying track on the record. “Nature Knows No Kings” is easily one of the most intriguing songs on Desperation Finds Hunger In All Men. “NKNK” or better known by me as “N’yuk N’yuk,” is one of two songs where only part of the band performed on it (in this case it was Tony, Kerch & Todd) and this song not only showcased some unique musical bits, it was also compositionally spearheaded by Todd. The noises that Kerch is known for make a showing along with his passionate vocal styles. Tony took a bare bones drum beat, continued to build upon it, then add in Kerch’s additional percussion & badda bing, you got one heavy percussive piece. Lastly, Todd’s guitar layer(s) created a W.A.S.P. KFD vibe to the overall mix that really grew on me fairly quick like and captured me to the point that I had no clue that the song was a long player. Another thing that makes this piece so special, is that it was done with very few takes, no “rehearsals” if I recall correctly and a fine example of the chemistry we all had as a band in any given formation. It’s raw, complicated, yet simplistic, powerfully disturbing piece of soundscaped art.